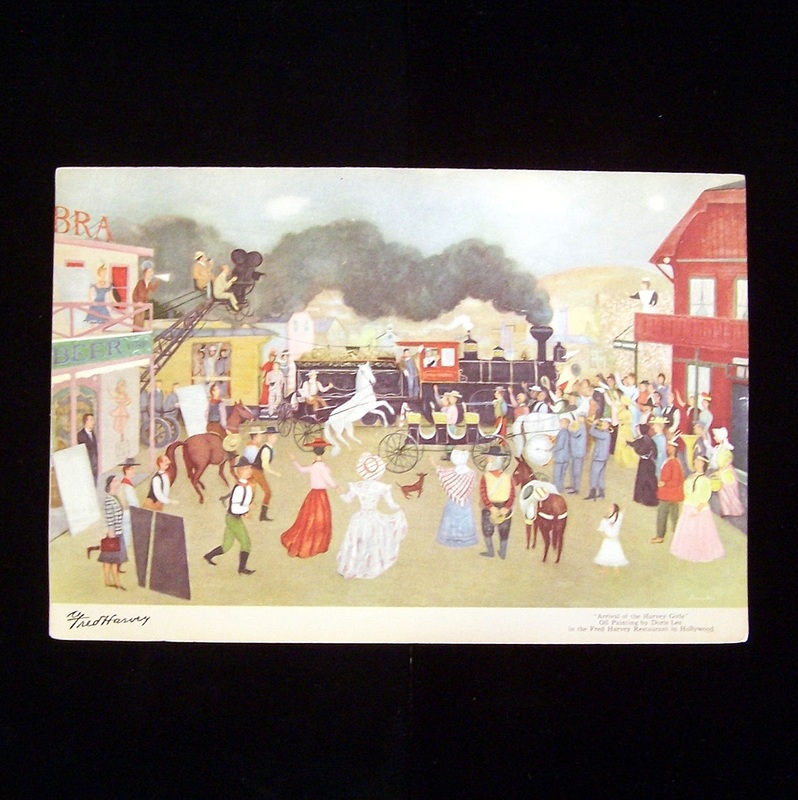 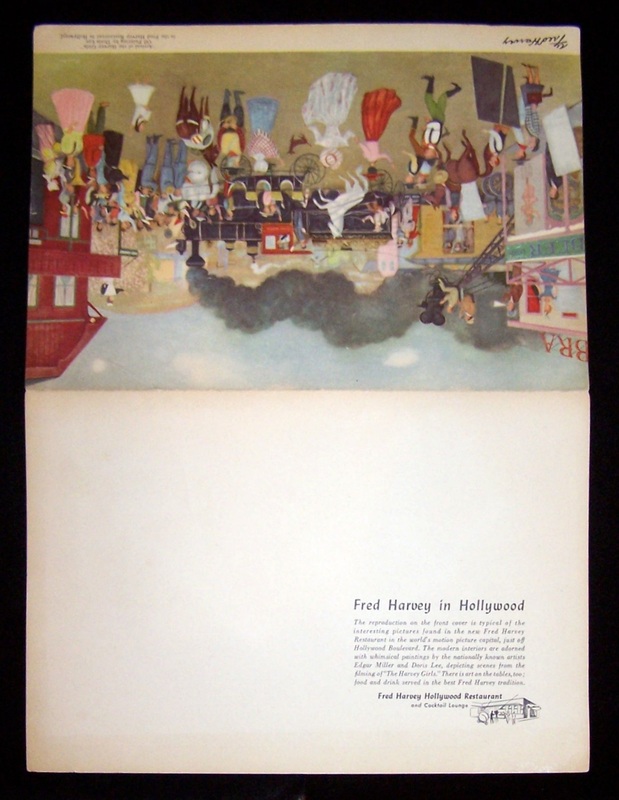 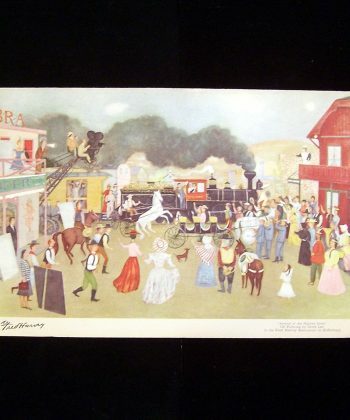 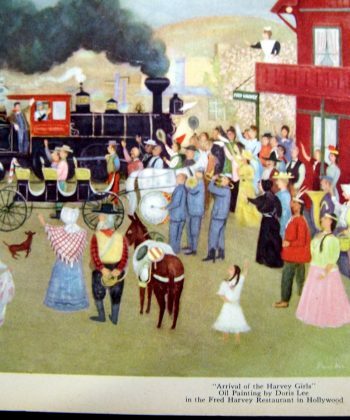 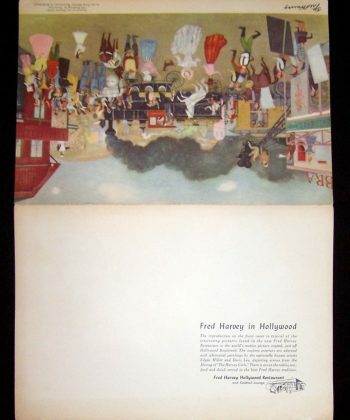 1949 Fred Harvey Hollywood Restaurant menu featuring the painting “Arrival of the Harvey Girls” by Doris Lee. 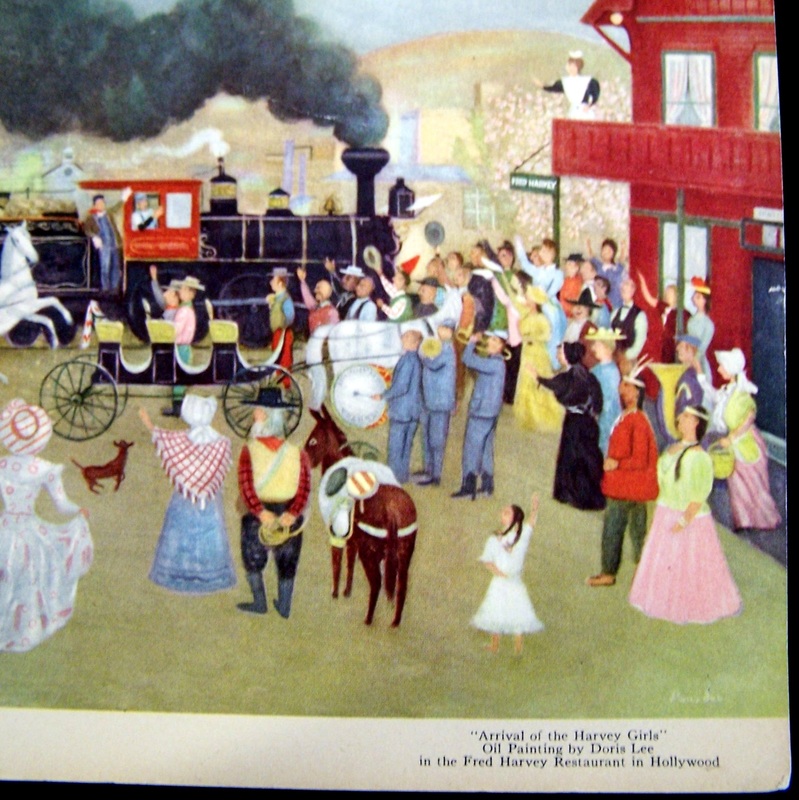 Neat railroad and Fred Harvey history. 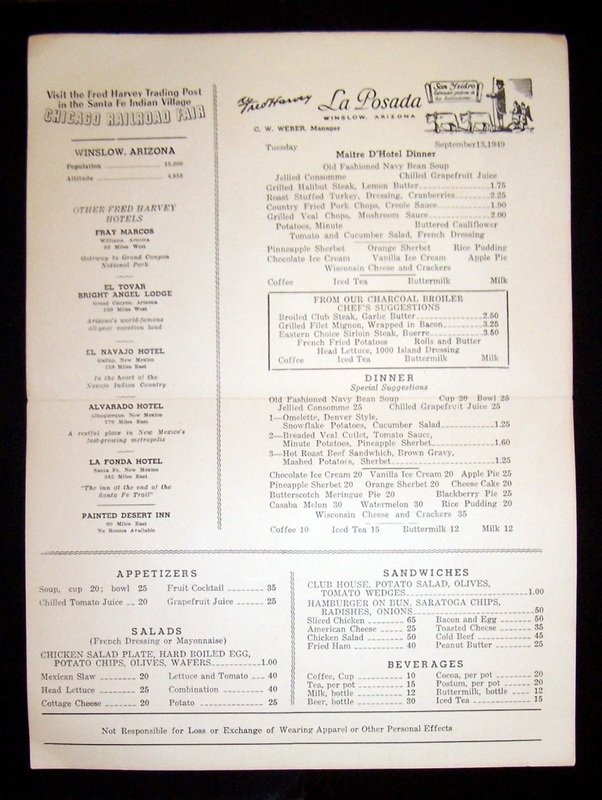 This original menu has the original prices – “Grilled Filet Mignon, wrapped in bacon – 3.25.” Here’s to 1949 prices! 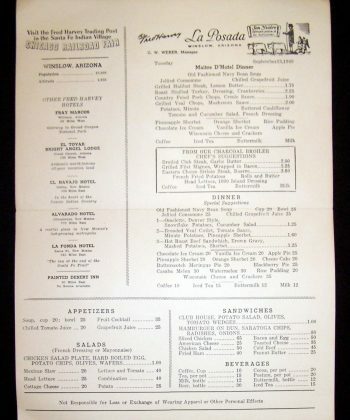 The menu is in excellent, used condition with light wear, slight bends and dings to edges and corners but very good overall.